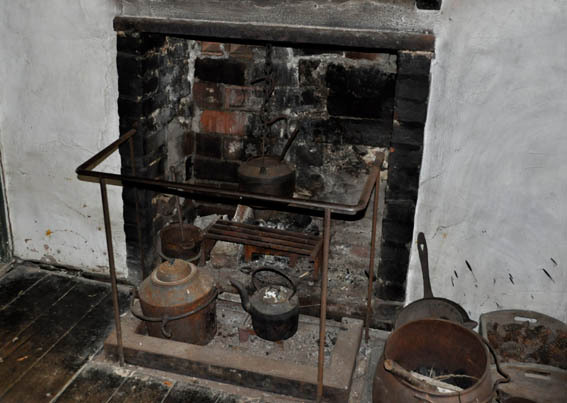 During the 1830's the introduction of the small domestic cast iron, coal fired, cooking stoves was becoming popular throughout the UK. They had a central fire grate with an oven on one side, a hob on the top and a warming box or water heater on the other side. Many models had a flue switch that would direct hot gas to the top or the bottom of the oven. These new types of oven were a revolution in home baking. The temperature could be kept constant for the whole of a bake, and subsequent bakes could be done without waiting. Many forms would also heat water at the same time, without the need for a cauldron or kettle on the fire. 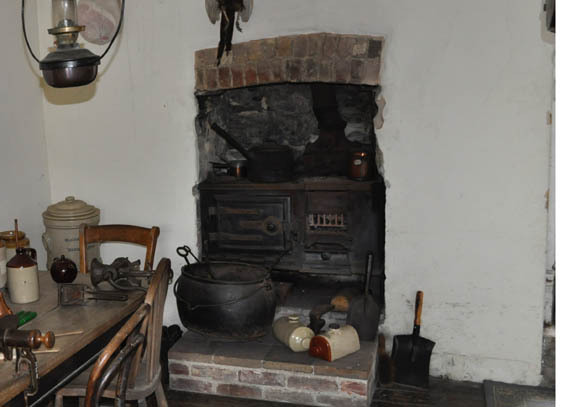 These ovens were a vast improvement on the old style grate fire seen above on the right, where everything had to be cooked in a cast iron pot suspended over the fire, or spit roasted in front of the fire. When these ovens were introduced, a complaint that they used more fuel than the conventional grate was common throughout the UK. 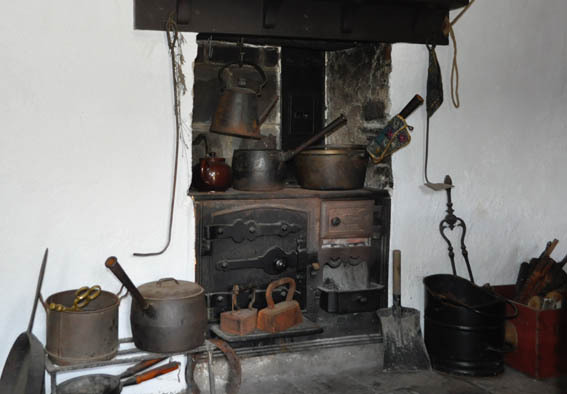 They soon became the accepted standard for cooking in the home into the early 20th century, when the introduction of electricity and gas supplies gave more options for fueling ovens. The fire needed to be maintained for about 2 hours to allow the oven to thoroughly heat up. It then needed to be burning throughout the baking to keep a constant heat. Every oven was individual and the user would know the baking times from experience of using that oven. 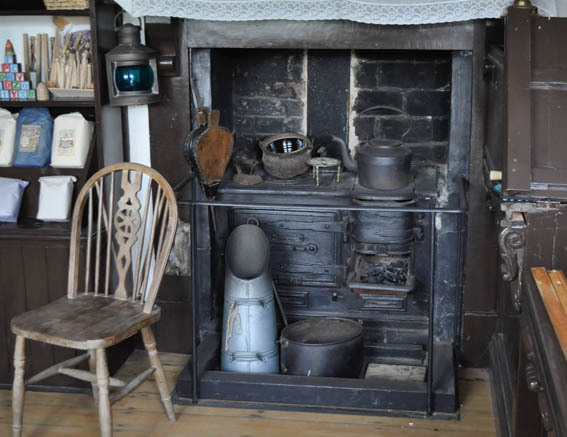 Temperature depended on the type of fuel (coal, wood, peat) and the size of the fire, flue and oven capacity.